The Yanartas: The Flames that Never Stop Burning! We waited patiently all day. As soon as it started getting dark, a group of us grabbed our flashlights and began ascending the rocky mountain. 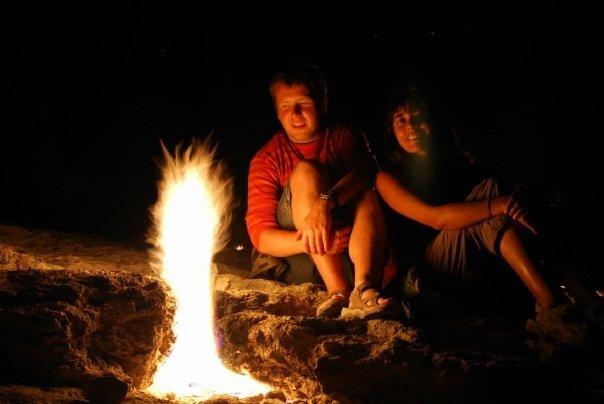 We were in southwestern Turkey, near a town called Cirali, about to witness a phenomenal natural wonder, the Chimera Flames. 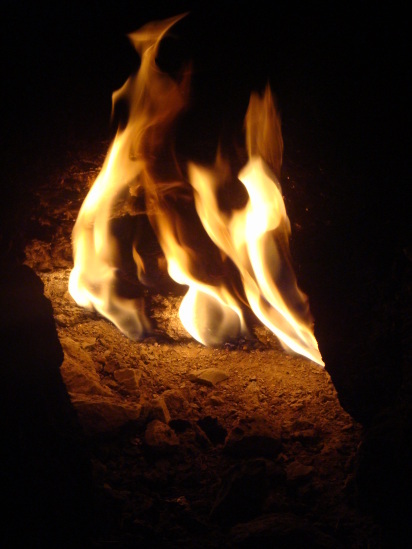 In Turkish these fires, which have been burning for thousands of years, are called Yanartas. The Yanartas, never stop burning! These flames are said to be fueled by methane gas, which is released from the vents on the rocky mountain. There are about a dozen of these extraordinary eternal flames burning constantly. It is best to see the Yanartas at night when it is possible to observe the blue flames. We spent a few hours, relaxing and chatting with our friends around the fires. It was yet again another memorable experience! Video: We poured water on the flames, just to see what would happen! Watch the video and experience the magic of the Yanartas for yourself! We woke up early and headed to Pamukkale, a small city located in southwestern Turkey. This city has become a popular tourist destination for its incredible hot springs and travertines. These picturesque terraces are made of travertine, a sedimentary rock deposited by water from the hot springs. In Pamukkale, there are 17 hot water springs with temperatures ranging from 35 °C to 100 °C. 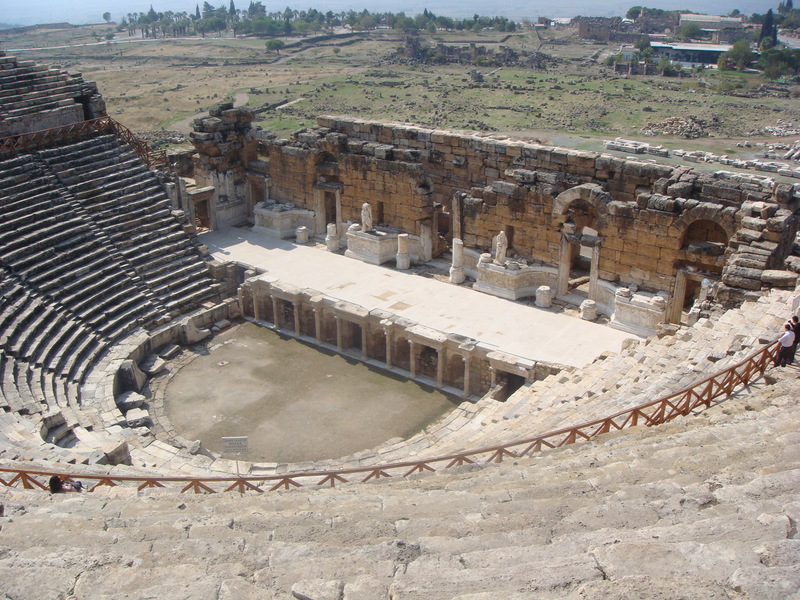 Before visiting the terraces, we toured around the ancient Byzantine city of Hierapolis, which is now recognized as a UNESCO World Heritage Site. We made another detour at a Turkish market. In this photograph, the vendor is bagging Turkish delights. We thought the Turkish delights were quite yummy! The pools of Pamukkale. We were able to walk around and inside the terraces! After spending a few hours, walking around and enjoying this beautiful and unique site, we made our last stop at the Hierapolis Sacred Pool. 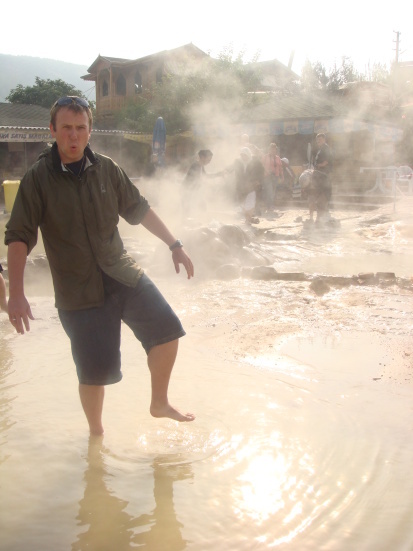 At this hot spring, we were able to swim among the ancient ruins. What a relaxing way to end a wonderful day in Pamukkale! This is beautiful Cappadocia in Turkey. This region is formed of soft rocks made by volcanic deposits. It was absolutely amazing to see how people historically carved out spaces for their homes, churches, and monasteries from these rocks. 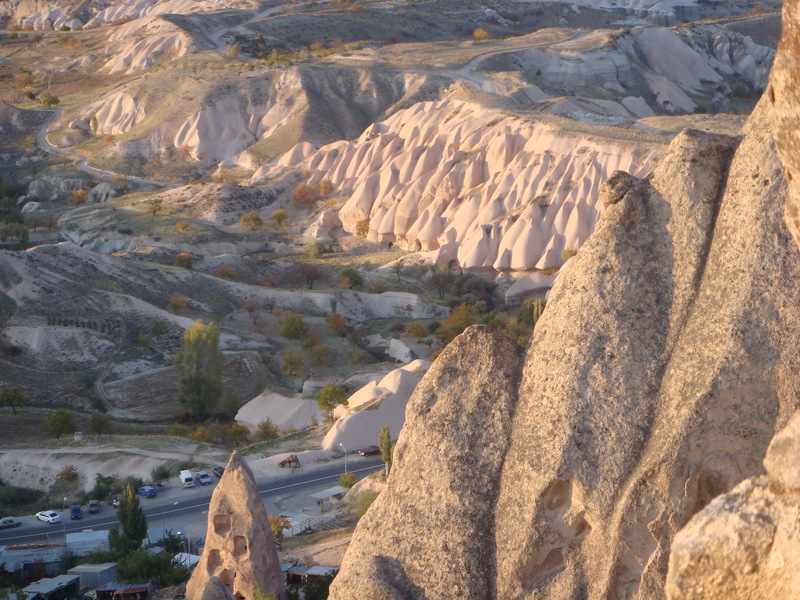 Cappadocia, with its natural beauty and huge monasteries, was simply picturesque. We had the fortune to meet some knowledgeable young boys, who toured us around the monasteries. The spaces were extremely small, and walking from one room to another was definitely challenging. It was hard to believe how people once inhabited these spaces. This was one of the most amazing places we visited during our 3 weeks in Turkey.